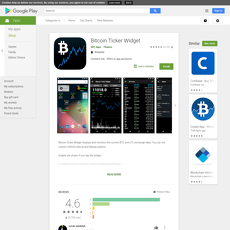 Found on the Google Play Store, Cryptonator is here to secure and store your cryptocurrency with an innovative wallet design. It claims to enable fast and easy direct transactions and instant exchanges between cryptos combined with a high level of security, anonymity, and privacy. These accounts are free and cryptonator is totally feeless. With all of this said, it appears the app is no longer functioning and was last updated in June of 2018. There are many negative comments as of recent detailing nightmarish accounts of the app no longer allowing them to log in or access their accounts. Confused by this, I decided to download the app and give it a try. Sure enough, it allowed me to undergo the process of account creation and then did not let me log into the account I just made. I think there is enough reason to believe this app may be dead. The development team doesn’t seem to care as they are not posting any news, updates, or even responding to the plethora of negative comments filling their Google Store page. That’s unfortunate, as this app looks to have been quite handy at one time in the past. The app looks good from the description and pictures but there is no way to really tell. The app seems to be dead. With no current support, accounts are locked, and no update news to be found. I’d stay away from this app at all costs. The development team has not done well in communicating or establishing trust.